This pizza goes out to all you B sprout lovers! It all started months ago when I planned to spend a day hiking, drinking grape juice and eating delicious vegetarian food in Eagle Rock with my friend Shelley. It was mid summer and full blown tomato season in the Southern California heat. 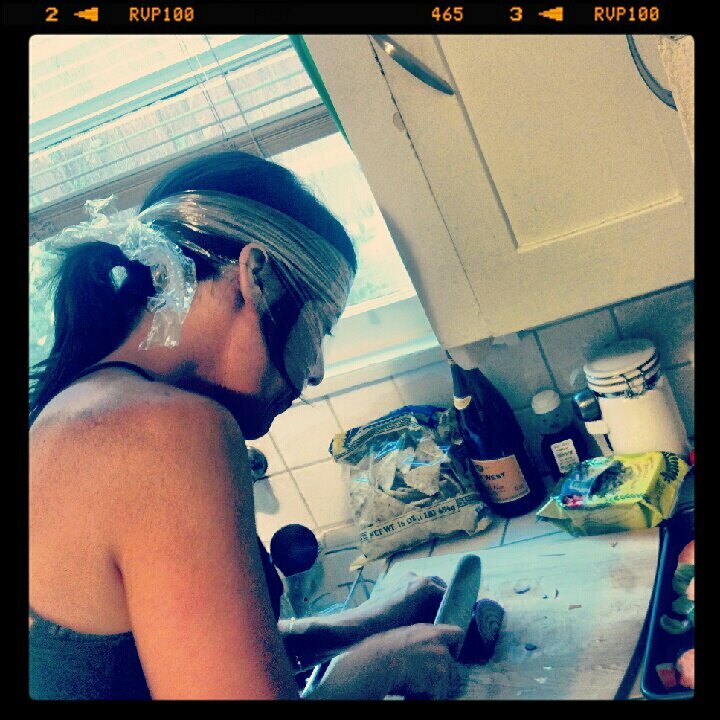 Instead of making a fancy French tomato tart I envisioned involving excessive manual labor, we kept it simple with a creation Shelley had in mind including a store bought crust, 1 sweet potato, a bag of brussels sprouts, 1 red onion, cheese and some sauces AND homemade plastic wrap onion goggles. The pizza we made had roasted onions, brussel sprouts and sweet potato "pepperonis" - it was delicious! I made something similar again, but more concentrated with roasted brussel sprouts, a little roasted sweet onion, and tangy, nutty asiago cheese. Both versions are righteous - either way, brussels sprout bedazzled pizza is where it's at. Slice brussels sprouts lengthwise and slice up onion and sweet potato if you're using one. Spread out on a baking sheet, drizzle with olive oil and sprinkle with salt and pepper. Roast for about 30 minutes or until vegetables are roasted to your liking. When vegetables are finished roasted, increase oven temperature to 475 degrees. Meanwhile, roll out dough with some flour. Drizzle some olive oil on baking sheet or use pizza stone if you have one. Spoon on the sauce, add the toppings and finish with cheese. Let cool so you can cut, and enjoy! Yummy! I especially like the idea of roasting the brussels sprouts. I didn't know Cupertino was your hometown. Let me know whenever you planning to visit :). LOVE this! We did something similar with brussels, kale, and sweet potato. What a top idea! I live with a brussels sprout hater and I think this pizza will make him rethink hating on B-Sprouts. Dewi - Will do! This is exciting! Esi - Mmmm, I'm gonna get on your version - would be good on nachos as well. Anna - Yes, yes, hide those B sprouts in cheese! Delicious and nutritious!!!! yummy pizza . I've like to try the sweet potatoes on it.